What is Adobe Photoshop tutorial? 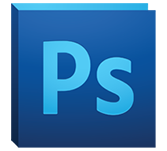 Adobe Photoshop is known as the world’s #1 photo editing application. This tutorial teaches about how to apply Photoshop tool and Edit photos and design graphics in your own way. This Photoshop tutorial designed to teach you the basic tools and techniques of Adobe Photoshop and explains about How to open and save your images, zoom in and out, and undo mistake in detailed way. Prior requirements include having basic knowledge of pixels vs. vector. If you are a beginner then you should know the basics of your operating system ,file extensions such as.png , .jpeg, .gif, etc..).